※iOS 6.0 or later required. 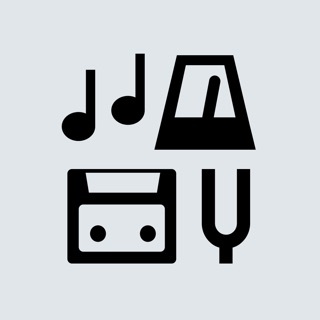 ・To use iTunes in the Cloud songs (songs purchased or played through the iTunes Match service), first download the songs to a terminal. ・The names of iTunes in the Cloud songs that have not been downloaded to a terminal are shown on the song list, regardless of terminal settings. ・Songs protected by DRM cannot be used even if downloaded. 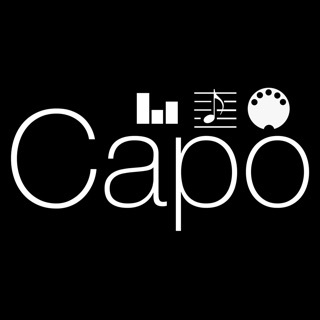 An application that analyzes the tones played in an audio file and helps you write the chord chart. 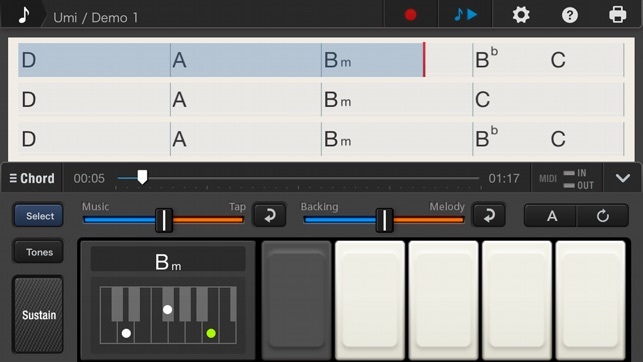 Audio files in your iPad or iPhone are analyzed by the original Casio Chordana technology, and the sounds played in each song are displayed on the screen as chord chart. At the same time, the chord positions for the instrument are displayed as the song plays. You can also play the results of the chord analysis on the instrument pad to check the outcomes. 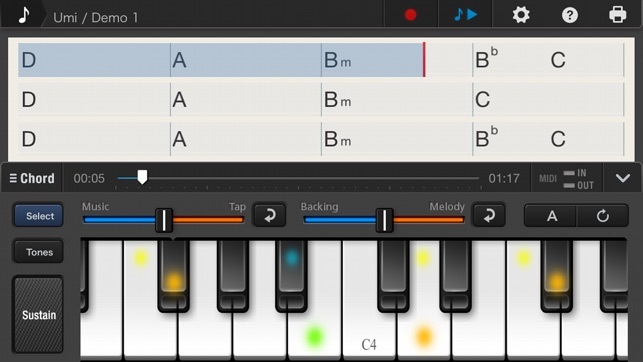 You can then edit the chords yourself as you listen to the actual sounds and write even more accurate chord chart. This is so much quicker and easier than trying to figure out the chords just by listening to them. As well as being able to save analyzed or edited chords, you can also exchange them via email with other Chordana Viewer users or print them out on an AirPrint-compatible printer. * The analyzed chords will be a close match to the mood of the song, but may not necessarily be the same chords as those used in the original. 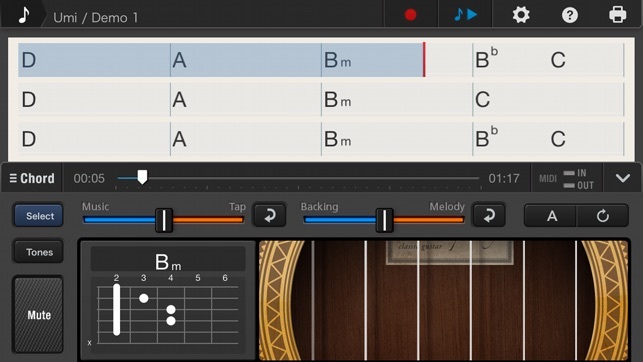 As well as showing the analyzed chords, the app has a guide bar that moves along with song playback, allowing you to check the chords being played in real time. 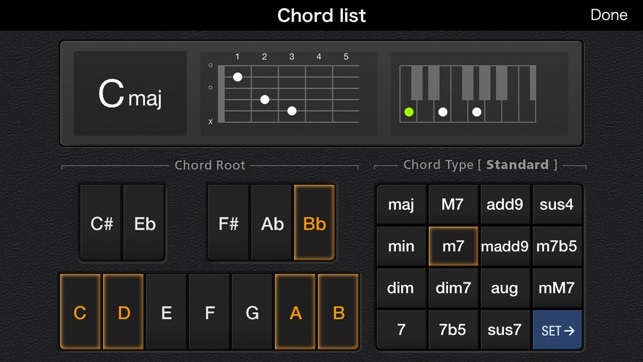 The app also supports full-screen display so that you can just check the chord chart. By touching a chord in the chord display pane, you can check the chord position for the instrument selected in the Performance pane. You can modify the chord chart by choosing a chord from up to three candidate chords that are closest in sound to the analyzed chord. You can also specify the chord manually. You can also adjust barline position. 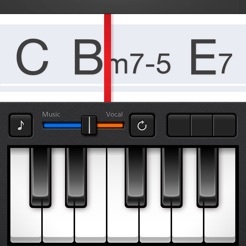 Navigate in the screen using the piano or guitar finger positions to match the chord display. 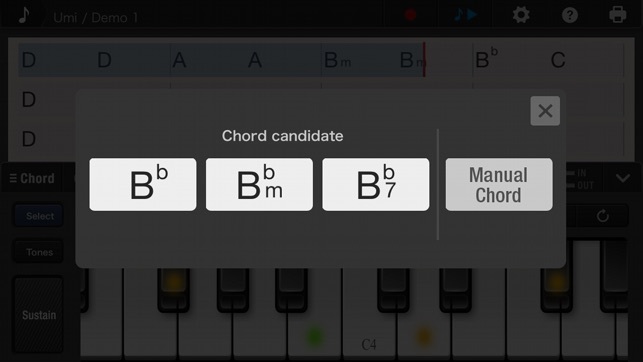 Of course, you can also use the chord list to check the position display for chords that are not shown. 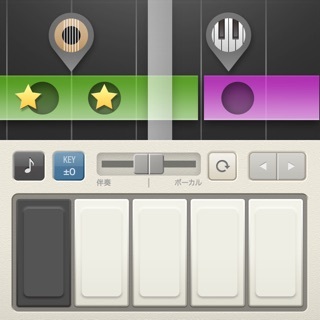 To play the chords, select the piano pad or guitar pad. 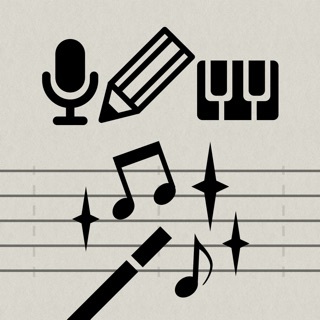 To play individual notes, select them on piano keyboard. You can also use the recording function to record your performances. * You can also purchase additional instruments and types of tones as add-ons. 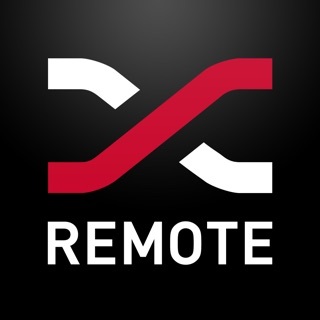 By using the app to import an audio file into your iPad or iPhone, you can modify the tempo or key of the song. You can also adjust the balance between vocals and accompaniment, which is useful for transcription. If you change the key, the chords in the chord display pane are also converted automatically, so transposition is simple. 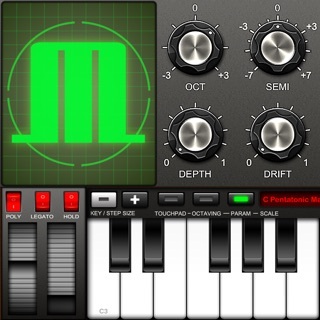 The Chordana series apps use original Casio technology to analyze audio files. 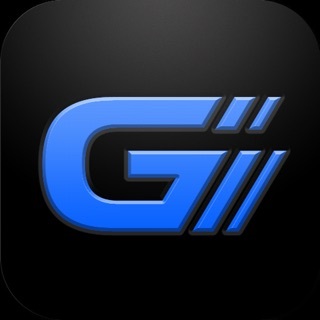 The apps achieve unprecedented success in extracting natural chords from the time changes and the distribution of frequency components included in audio waveforms, while also taking into account the characteristics of the harmonies, melodies and rhythm instruments included in the song. Information was added to the overview. "Chordana Play English version Release Anniversary Sale"